Dark Mode version of YouTube provides a viewing experience that is easier on the eyes. It's fun when watching videos in the dark. YouTube Dark Theme are available on the YouTube website and on the YouTube mobile app for iPhone, iPad and Android. To turn on Youtube Dark Mode PC, first open YouTube from your browser. And then on YouTube desktop website, click your profile icon at the top right corner of the web page. Select the "Dark Theme" option on the menu. If you are not signed in your Google account yet, you can click the menu button (which is looks like three vertical dots) instead. And you will find the same "Dark Theme" setting there. Click the "Dark Theme" slider to activate the dark mode for YouTube. 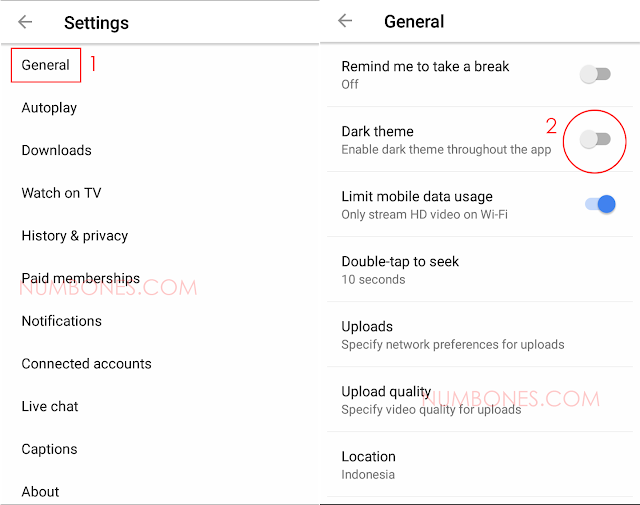 This setting only applies to your current web browser, so you will have to enable the Youtube dark theme on every computer (pc) you use – because the Youtube Dark Mode setting doesn't sync with your Google account. To undo this theme, you have to click the profile or menu again, and then select "Dark Theme," and click it to turn off the slider. For a complete dark mode on your desktop browser, you can enable dark mode in Google Chrome, Mozilla Firefox, or your Microsoft Edge browser. You can also activate dark themes in Gmail too. And you can also activate Windows 10 Dark mode feature. The YouTube application for iPhone and iPad which is using iOS also has its own dark mode option. 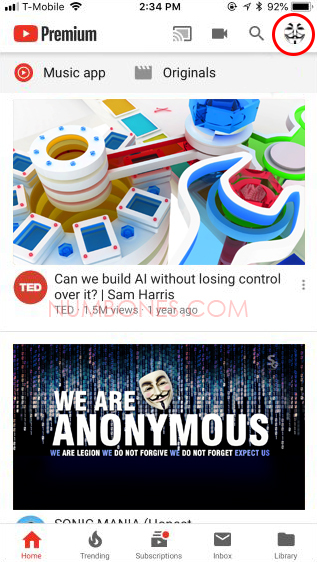 To activate the iPhone Youtube Dark Mode, first launch the Youtube application and tap your profile icon in the top right corner of the screen. And then, you have to tap "Settings" in the menu that appears. Tap to swipe the "Dark Theme" slider on the Settings screen. To change the YouTube normal light theme again, go back here and disable the "Dark Theme" slider by tapping on it. Google is slowly launching dark mode for the YouTube Android application, even though it's not yet available on all devices. 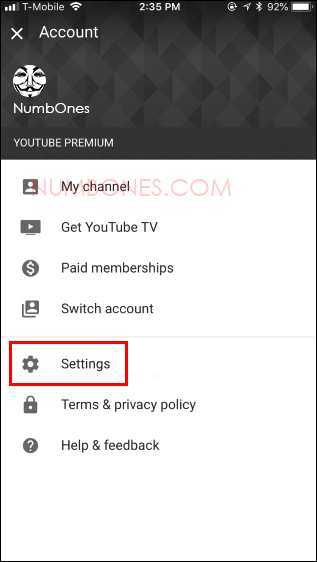 If your device support Youtube Dark Mode Android, you will find it by tapping your profile icon at the top right corner of your YouTube application, and then tap "Settings." Tap "General" on the Settings screen. If you see dark mode options on the General screen, enable by tapping on it. 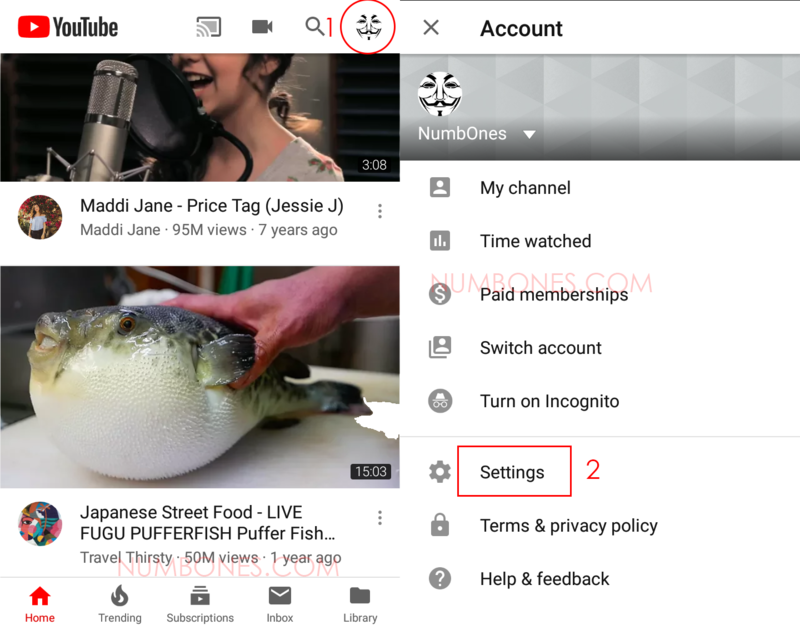 If not, you have to wait for Google to enable this feature on your device with an update to YouTube app. 2 Responses to "How to Enable Youtube Dark Mode on Android iPhone and PC"